The chemical was found in batches supplied to Famille Michaud, one of the France’s largest honey marketers. A beekeeping cooperative in northern France has filed a legal complaint against German chemicals giant Bayer after traces of the controversial weedkiller glyphosate were detected in batches of honey, officials said on Friday. The head of the cooperative in the Aisne region, which represents some 200 beekeepers, said Famille Michaud, one of the country’s largest honey marketers, found the chemical in three batches supplied by one of its members. “They systematically analyse the honey shipments they receive, and they found glyphosate,” Jean-Marie Camus said. The weedkiller, introduced by the US agro-giant Monsanto under the Roundup brand name, is the most widely used in France, where President Emmanuel Macron has vowed to outlaw it by 2021. It is suspected by some scientists of causing cancer, though the EU renewed the licence for glyphosate weedkillers last November despite deep divisions between member states. Emmanuel Ludot, a lawyer for the cooperative, said the tainted honey came from a producer whose hives are near extensive fields of sunflowers, beets and rapeseed. “But you also can’t forget the weekend gardeners who often tend to use Roundup,” he said. The complaint was filed on Thursday to coincide with the closing of Monsanto’s merger with Bayer, creating an agrichemical behemoth which many environmental activists denounce for its promotion of chemical herbicides as well as genetically modified seeds. Ludot hopes the complaint will prompt an inquiry to determine the percentage of glyphosate in the batches and any health consequences it might have for humans. If the weedkiller is found, he said, a supplier’s entire shipment is rejected. 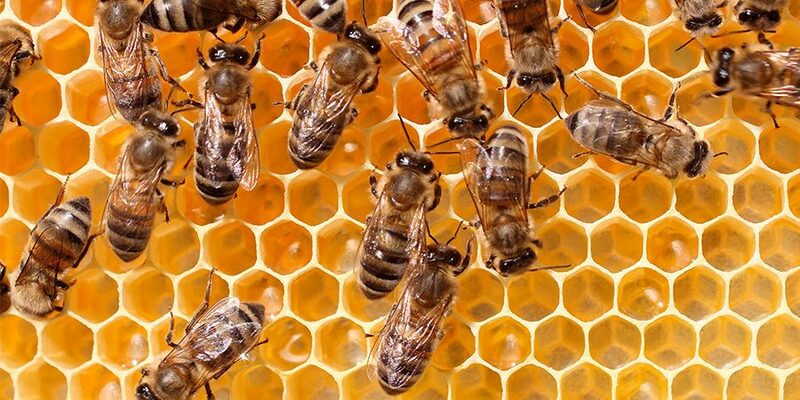 “Usually, beekeepers will say ‘In that case I’ll sell the honey at a roadside stand or a market’, where there’s no quality control,” Michaud said. “But this beekeeper had the courage to say ‘I’m not going to be like everyone else, I’m going to file suit against Monsanto’,” he said.